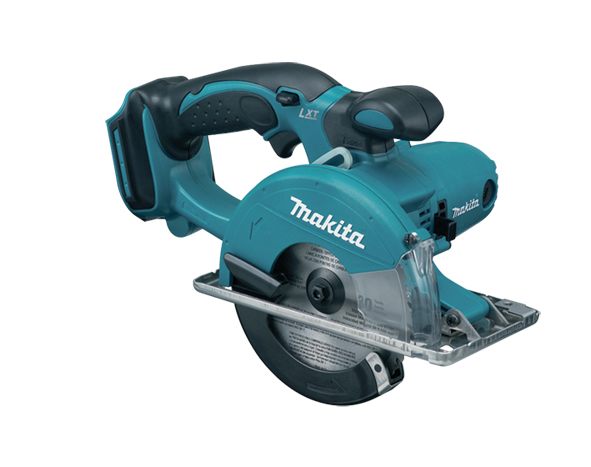 Makita Metal Cutter Body 18v (DCS 550Z) feature a compact and lightweight design for manoeuvrability and easy handling even in overhead or horizontal applications. They have an enhanced motor allowing for smooth powerful cutting of pipe, tubing, C-stud, Aluminium, sheet metal etc. Ergonomic design with non-skid elastomer on front grip and rear handles for greater control and comfort. Stainless steel base plate which helps prevent damage and provides manoeuvrability across the work surface. Large lock-off lever for operating with gloved hands. A lightweight and powerful metal cutter.